War and Peace | LIT.GAZ. Russia is a huge country and it has gone in for more than its fair share of huge – as in door-stopper size – novels, a number of which are rightly classics. I could nominate War and Peace, although lately I’ve found myself preferring Anna Kerenina if I’m thinking about Tolstoy. I’ve a soft spot for Crime and Punishment, which was the first Russian ‘classic’ I read, and have frequently returned to. In the twentieth century, it’s the horrors of Stalinism which have preoccupied many writers, and in my younger days I really liked Solzhenitsyn’s work. Anatoly Rybakov’s Arbat Trilogy is not very well known, but is very powerful and convincing, but for me the epic choice has to be Vassily Grossman’s Life and Fate, which I’ve often mentioned in these posts: he wrestles with Stalin and Stalinism, as well as the horrors of the Second World War and the Battle of Stalingrad. It truly is an astonishing novel. What I mean is, does any novel set in the past count as a historical novel? Does it depend on how historical personalities and events are integrated imaginatively into the plot? And what, if anything, makes one of these novels count as ‘proper’ literature? I’m not interested in novels populated by kings and queens, aristocrats and royalty, for instance, and I didn’t choose to read Hilary Mantel’s recent novels set at the time of the English Reformation. But that is a historical period I’m interested in, and the novel by Marguerite Yourcenar I reviewed recently was set then, and certainly involved some real persons from those times, as was the case with Luther Blissett’s Q, which I also drew attention to in that same post. I found myself questioning my attitude because of a novel I’m currently reading, set in the Middle East and Central Asia at the time of Tamburlane, but centring on a number of Arab scientists rediscovering the knowledge of the ancients, as well as pushing forward the boundaries of knowledge. And Jean-Pierre Luminet’s Ulugh Beg isn’t that good: almost non-existent characterisation, and tenuous plot that seems to exist just to flesh out the history of Arab science. I was reminded of John Banville’s novels featuring scientists from history; I tried the one about Copernicus but was so annoyed I gave up. On the other hand, Gilbert Sinoué’s novel about Avicenna I found thoughtful, detailed, interesting and quite moving at times; I got a real picture of people, places and science of the times he was writing about. Back to my question: is War and Peace a historical novel? Yes, obviously, and so much more. There are real people from history in that novel just as there are, for example, in Vassily Grossman’s Life and Fate, or Anatoly Rybakov’s Arbat Trilogy; all three of those novels go into my – for want of a better word – ‘proper’ literature category. So I find myself wondering about proportion. You can have a story set in a particular historical context, but with fictional characters; a great deal of care will ensure its plausibility. If you don’t try and weave in too many real characters and events, a reader will suspend disbelief sufficiently for the story to have the author’s desired impact; too many historical characters, as in Luminet’s novel, and I may as well be reading a history book. Thus, for example, Rybakov uses a few carefully crafted and plausible scenes involving Stalin and some of his henchmen, but most of his story involves imagined characters plausibly deployed in accurate background which accommodates them without challenging the reader’s response or credulity too much. With too many historical characters, we perhaps begins to feel more as if a writer is developing a fantasy involving real people and we start to think, would Tamburlane really have spoken/ acted like that? The sense of proportion is wrong and the reader is jolted into noticing that something here isn’t quite right… our credulity is over-stretched. The imaginative effort also counts for something here, both on the part of reader and writer, I feel. I’m rarely reading a historical novel to escape into the past, I’m reading because I hope the writer’s imagination will be powerful enough in her/ his creation to develop my understanding of a particular time and place in history, to flesh out what I’d have got from a textbook, in the same way that, for instance, a poem by Wilfred Owen develops my understanding of the experience of the Great War. It’s been quiet lately on this blog because I took an 1100-page novel away on holiday and have only just finished it… a long book, which will end up with a long review. I’ve read and loved Ernst Wiechert’s The Simple Life several times; it’s a hauntingly lovely novel, one of my all-time favourites. The Jeromin Children is nearly as good. Wiechert wrote in the 1930s and 40s and fell foul of the Nazis; after a few months in a concentration camp he was let out but threatened with ‘physical annihilation’ if he put another foot wrong. He didn’t. This novel appeared after the Second World War, when its subject-matter had gone forever. It’s a family saga, set in a village in the middle of nowhere, deep in the forest lakeland of East Prussia. It’s a lost world – East Prussia ceased to exist as a result of the Second World War and its German inhabitants were expelled, the land divided between Poland and the Soviet Union. As a family saga, at times it reminded me of Naguib Mahfouz’ The Cairo Trilogy, but it also belongs to a subset of post-Great War novels where writers, so horrified at the events they had experienced, sought mental and spiritual refuge in flight from cities and ‘civilisation’ in the timeless values and lives of simple rural folk; Jean Giono is a prime French example of such a writer. It’s also a bildungsroman, of a very German kind. There are seven children born to the family, and although we do learn of the lives of them all (and the deaths of some of them), the hero is clearly Jons, the youngest, whose story we are most intimately concerned with. But all seven of them have different and significant stories which Wiechert uses to bring out meanings in various ways. And he skilfully brings out the timelessness of the place, the meaning of existence for its inhabitants, the complex interaction of characters, thoughts and feelings, locating all in a powerful sense of eternity and continuity. The village is overwhelmed by the Great War on the Eastern Front, and though burnt to the ground, it is rebuilt. The utter insanity, the meaninglessness, futility and sheer evil of the war is briefly but powerfully portrayed, almost through the absence of detail; the good and the bad die, and the scene where one of Jons’ mentors, the student Jumbo, dies, is heart-rending in its pointlessness. Mentors are obviously of significance in a bildungsroman, and I was inevitably led to reflect on the importance of those who clearly influenced me in my younger days – teachers, student friends, professional colleagues all play their part. In a similar way, Wiechert had me thinking about the differences between generations, how we change and yet how in so many ways we remain just the same as those who went before us. His studies interrupted by his military service in the war, Jons returns and eventually qualifies as a doctor, and returns to his village to be a doctor for the poor; despite his evident talents and much brighter prospects, this shapes up as his deliberate and the right choice. The unspeakable horrors are left behind, and idyllic peacetime village life continues, except that as readers we know that this cannot last. It’s not War and Peace, it’s not Life and Fate. It’s clearly flawed. But it’s also a work of love, a call from a generation scarred by the Great War, realising that civilisation is not what it says; it’s a book to take you away from yourself, to make you think, and at times to make you weep. 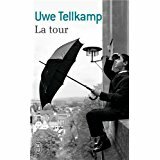 Sadly, the only English version, published over sixty years ago as The Earth is Our Heritage, must have been a bowdlerised version as it’s only a third the length of Wiechert’s novel; I read the French translation which was published last year. Other forms (I’ll write more fully about significant form in a future post) add a visual element to something that was originally written to appear in print. It’s important to understand how it replaces a space that existed for the imagination to work in when we are reading: we visualise characters and places as we read, often working from our stock of memories of all the people we have ever met and the places we have been to. Thus, when we see a film after having read the book, we may feel that the casting or setting jars with what our imagination had created for us originally. Equally, if we watch a film or television adaptation first and then go on to read the book, our imagination may well be constrained by what we have seen. I do think that it’s important to allow free rein to the imagination, especially in a child’s formative years: if it’s fully developed, it will always be there; it’s a valuable and necessary part of us in so many ways. Although adaptations add visual elements (which are often powerful and moving), they usually also necessitate trimming or cutting of much material that’s in the original text. Logically, if it takes us a total of, say, twelve hours spread over a few days to read a novel, then to turn it into a two-hour film inevitably means losing something, even though the visual elements are clearly a short-cut and substitute for many pages of written description. Even the first TV adaptation of War and Peace in the early 1970s, which lasted twenty hours (!) had to lose a great deal of Tolstoy‘s masterpiece. So decisions are made, and can outrage us if we have read the book first and we feel that vital elements have been cut, or even worse, changed, for the sake of – what, exactly? a series suited to the US market, perhaps? However, if we come to the text after the film, we may well be enlightened by the richness of what the author offers us in the original. What gets cut? Characterisation and location are relatively easy to do with visual support; action has the advantage of looking good on screen and keeping the viewer engaged; visual elements can create atmosphere very effectively indeed. What often suffers are the broader themes and ideas which a writer may have spent a good deal of time on: these may be lost, and their absence contribute to a more lightweight and superficial visual experience. I have come across very good translations from book to film. I’ll cite the original TV adaptation of War and Peace again, because it was a masterpiece of its time; the early 1970s adaptation of Sartre‘s Roads to Freedom trilogy which many of my generation remember with great fondness, but which seems to have been lost forever; the TV adaptation of Middlemarch which did its best with a doorstopper of a novel; Volker Schlondorff‘s film of Grass‘ The Tin Drum, which, although only the first half of this epic novel, was stunningly faithful to the original. Horrors include most adaptations of GCSE set books turned into theatre by companies desperate to milk the school market for cash, such as stage versions of To Kill A Mockingbird or Of Mice and Men. Plot is story. A series of events is introduced, developed and played out; there is often suspense and tension to keep the reader engaged and involved. There is a denouement – full or partial according to when the novel was written – Victorians liked to tidy everything up, modern writers are not so bothered, or are even deliberately bloody-minded, and go for open endings. It’s useful to think about what drives our first reading, especially if you are one of those readers like me, who comes back again and again to his favourite books. First time round, plot draws us along: what happens next? How will it end? And such questions shape our initial response, at least. Was it a good story? Did we like the way it ended? Think about – as I suggested in the last post – the way we sometimes disagree with the way a writer ends her/his novel, based on our interpretation as we read, usually of characters. And if we feel the ending is wrong, surely the next thing we must ask ourselves is, OK, so why did the author choose to end it like that? Re-readers will know what’s coming next. Usually we will retain at least an outline of the plot in our memories, and will be able to recall how the story ends. This means that we are not so plot-driven second, or nth time round, and can have a different focus to our reading, indeed we can deliberately choose a specific focus if we want to or need to (for study purposes perhaps). We will pay more attention to other details, perhaps notice many small things that we glossed over on that first, plot-driven reading. The Sherlock Holmes stories come to mind here. I’ve lost count of the number of times I’ve read them over the past fifty years. Usually, I don’t recall the ending until I’m well into a story, so that the pleasure is not ruined by knowing who did it straight away. Then there is the other end of the spectrum, when we consider a vast novel like War and Peace, of Vassily Grossman‘s twentieth century masterpiece, Life and Fate. Real and fictitious events interwoven unfold against a huge canvas; many different plot strands are interconnected, and it’s often hard to keep track of all the threads; sometimes we are given lists of characters in an appendix so we can refer to them when we get confused. Then we are glad when a particular, or a favourite strand re-emerges after having disappeared for some time, and continuity is re-established. So, it’s pretty clear that realism is a bit of a myth. Our response is to suspend our disbelief for the duration of our reading; it’s a psychological adjustment, unconsciously undertaken, to allow us to enjoy a work of fiction as entertainment without getting too bogged down by nagging implausibilities; we just accept certain ‘unreal’ things for the sake of the story. There are writers who toy with their readers in different ways, conversing with them in their pages, to remind them that they are there, in controlled of the story, puppet-masters. Fielding does this openly in Tom Jones, Jane Austen (a couple of generations later) is much more subtle; hints and comments from her to her reader come through her oblique style, as we realise that certain observations cannot have come from that particular character. Some writers break off to preach to their readers – Tolstoy in War and Peace, Robert Tressell in The Ragged Trousered Philanthropists. Where does all this get me, in the end? I like a good story as much as anyone else. I suspend my disbelief and allow myself to be drawn in and manipulated just like the next person. But I find it interesting, eye-opening even, to step back and look at what is really going on every now and then, sometimes in the middle of a novel, sometimes after I’ve reached the end. Words are very powerful things. As I’ve grown older, I’ve developed the impression that Russia is so very different from anywhere I know and am familiar with. I’ve read its history and followed the ins and outs of communist politics for many years, and I’ve read a good deal of Russian literature, and explored a lot of the country as an armchair traveller, through many and varied travel writers. And the place seems vast and unknowable, the more I read and try to understand. And yet I have been more than curiously fascinated by all this for many years; I am drawn to the unusual, the strange and inexplicable. Dostoevsky is hard work: The Idiot – what is it all about? and The Brothers Karamazov? at least Crime and Punishment is approachable, and frightening in its convincing psychology and paranoia. But I still find the ending, redemption through love and forced labour, hard to take, sentimental. It is a brilliant novel, though. Tolstoy is actually likeable, perhaps the closest a Russian gets to ‘the Western novel’ for me, even though they are vast tomes that make even Dickens look manageable… War and Peace I really like (I’ve read it three times so far) and am in awe of its vast scope, the sweep of its action, and the author’s direction of and dialogue with his readers. I like the ideas of Anna Kerenina and find the character of Levin fascinating, sometimes comprehensible and sometimes alien. Just as in France, the nineteenth century novel reached great heights in Russia. Those writers had to grapple with the censorship and controls of Tsarist times; writers in the twentieth century didn’t have it anywhere near as easy, as the Soviets wanted to control everything, and literature was meant to serve the party and the revolution. I gather it produced a great deal of grim hack-work known as Socialist Realism, which I am sure was (badly) translated into English but probably never reached many bookshops here. And those times also produced great writers and great literature. Stalin’s purges and the Great Patriotic War provide the background for Vassily Grossman‘s epic Life and Fate, and Anatoly Rybakov‘s astonishing Arbat trilogy. Grossman’s work has finally begun to achieve some of the recognition it merits – it really is a twentieth-century War and Peace – but Rybakov attracted a brief, post-Soviet flurry of interest with his first volume and then no further notice, which is a great pity. One can read historical accounts of the madness and paranoia that was the 1930s in the Soviet Union, but you can only begin to feel what it could have been like through a cast of convincing characters living through those times. I’ve waxed lyrical about the Czech writer Jaroslav Hasek‘s hero Svejk, an anarchic anti-hero who creates chaos in the Austro-Hungarian war effort wherever he goes; he has his Soviet era equal in Ivan Chonkin, in a couple of novels by Vladimir Voinovich, where Soviet bureaucracy and managerial ineptitude are satirised quite mercilessly. Aleksandr Solzhenitsyn‘s earlier works made a great impression on me at school. One Day in the Life of Ivan Denisovitch is a powerful read (the film is utterly unmemorable) as a political prisoner in the gulag shares his work, thoughts, hopes and fears, knowing that it’s back to the start every night for twenty years; Cancer Ward explores (as I recall) the vulnerabilities of the powerful and the weak, reduced to the same equality by the dread disease, its treatment and consequences, and The First Circle, which I think is probably the best, explores Stalin’s paranoid world, urge to spy on and control people through the eyes of prisoners and ‘free’ men involved in a research project that will allow the regime to identify people from recorded voices alone. Solzhenitsyn, like other Soviet era writers, tries hard to create Stalin as a fictional character, and thereby come to some understanding of his psychology and power. I have yet to read anything written since the fall of the Soviet Union that is worth the eyeball time. In Britain, until 1964, all plays performed in the UK had to be licensed by the Lord Chancellor, and there were many reasons why a license might not be granted. The British have always been very wary of any overt sexual content in literature, and the Obscene Publications Act was used to prevent the publication in this country of such books as James Joyce‘s Ulysses, DH Lawrence‘s Lady Chatterley’s Lover and Hubert Selby‘s Last Exit to Brooklyn. The trouble was, that what couldn’t be printed here could be printed abroad and brought back, in exactly the same way as religious tracts were smuggled around Europe during the Reformation. We tend to associate censorship with totalitarian regimes rather than our own country, and it’s true, dictatorships can deal with the issues of control of ideas rather more directly and effectively. The Nazis banned books, and publicly burned them (there’s a monument in Berlin’s Bebelplatz commemorating just such actions); given the severity of punishments meted out for small infringements, not much more was required. Writers went into exile – Bertolt Brecht, for instance, knowing that his life was at risk if her remained in Germany. And writers were killed; Irene Nemirovsky, French writer of Jewish origin, author of the astonishing Suite Francaise, was killed in Auschwitz. The Soviet Union had longer to get ideas under control. Writers perished in Stalin’s purges – the poet Osip Mandelstam, for example – and others had narrow escapes. Some went into exile voluntarily, others were forced out of the country: Aleksandr Solzhenitsyn, who had one novella published in the country during a brief thaw, eventually ended up in the USA, a twisted and embittered man cut off from his roots, losing his creative powers. This, one suspects, was exactly what the Soviet authorities desired: he couldn’t be openly tried and jailed or executed, and he couldn’t be kept under control at home; exiled, he was emasculated. And every now and then there surfaces from the USA some bizarre story of a school board somewhere wanting to ban a book and prevent students from reading it because they don’t like the ideas in it – To Kill A Mockingbird is one of those books, but any book with vaguely left-wing ideas or hints of sexual freedom is fair game for the book-burners in some places. The situation is rather more sinister in the West, in some ways. Yes, we can read anything we like as long as we know it exists and we can get hold of it: we have that freedom. But, books which challenge the accepted social, political or religious order are tolerated because of their basically relative irrelevance in the greater scheme of things; literary culture is a very minority interest in the days of modern bread and circuses, The Sun newspaper, Sky TV and Netflix being what most people accept that they want, having been told that and been sold them. I’m not a regular listener to this long-running radio programme Desert Island Discs, but like all other listeners, I have pondered the question of what book I’d take with me to my desert island. I’d have no problem with the complete works of Shakespeare (you knew I’d say that, didn’t you? ), with the possibility of working my way endless times through all the plays and deciphering the sonnets, and who knows, maybe even bothering with the long poems, which I admit I’ve still never opened. So what should my personal choice be? Today, after a random scan of the bookshelves, I’ve narrowed it down to a choice between Tristram Shandy and Ulysses. Tomorrow? And what would you choose, and why, my readers?